With each episode of DokiDoki Precure, I am more and more impressed by it. This show has been exploring topics that confound Western scholars and theologians. 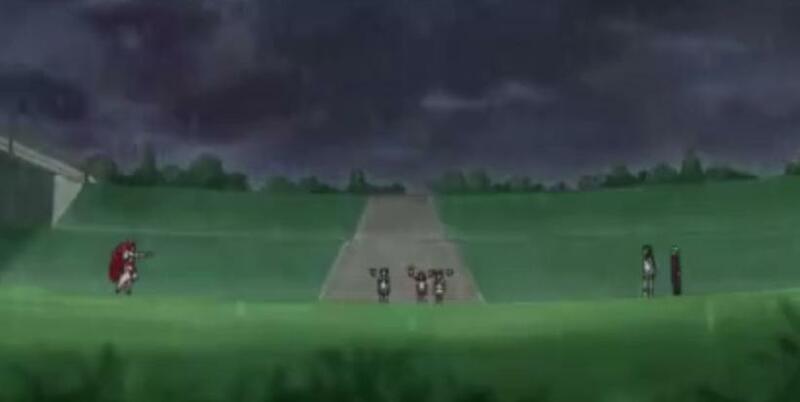 In the previous episodes, each of the Precure have been tested one by one, and each has been challenged by Cure Ace. First Cure Happy regarding her love for Regina-san, and next Cure Sword regarding her love for singing. Last week, we explored the protective side of love with Cure Rosetta. This week, in doki doki episode 26, it was Cure Diamond’s turn. 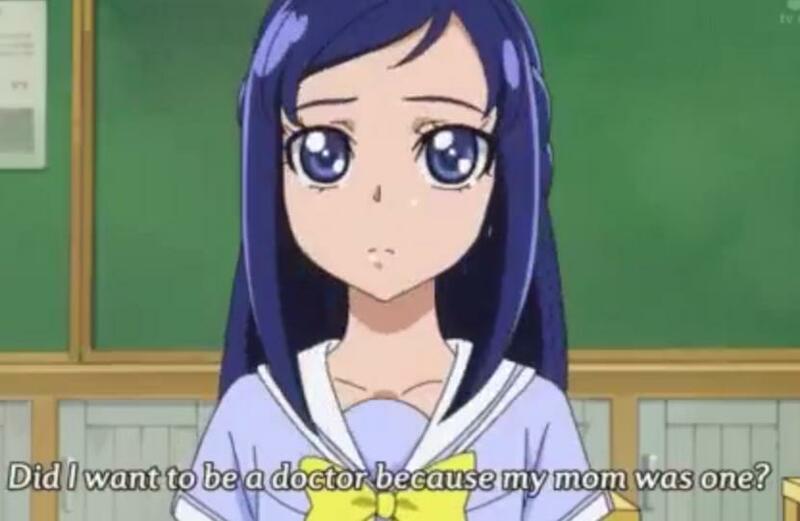 Rikka-chan (Cure Diamond’s civilian identity) has always wanted to be a doctor, like her mother. Yet, this week, Rikka-chan must face the question of whether this is really her dream. As she was pondering this question, Ira-san, one of the villains from the Selfish Kingdom, appears before her wounded and without memory of who he was. Almost without thinking, Rikka-chan takes him home and takes care of him. Later, as Ira-san was healing, but still without memory, Cure Ace challenges Rikka-chan on her actions, and tries to defeat Ira-san. Rikka-chan protects Ira-san against Cure Ace. 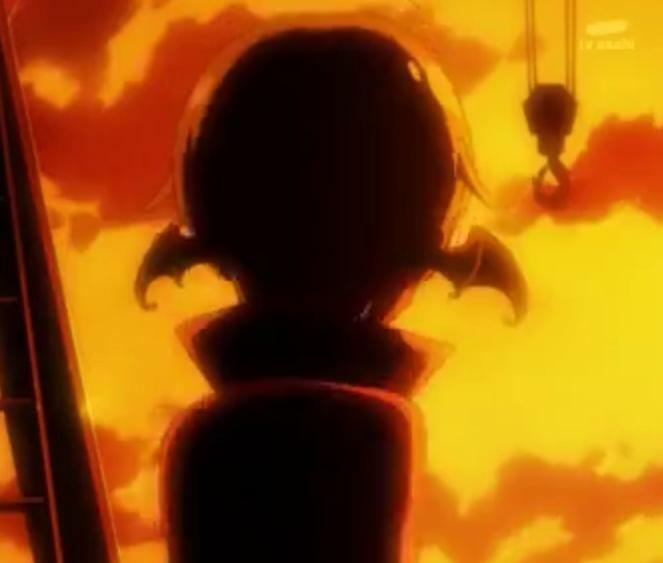 Next another villain arrives, Gula-san, and Rikka-chan continues to protect Ira-san. Rikka-chan gains her new powers. Ira-san does recover his memories, and then he does return to the Selfish Kingdom. Despite the fact that Ira-san has returned to the Selfish Kingdom, Rikka-san smiles and is happy that he is healed. How shall the soul attain to Love? Let her open herself to every creature in compassion and in care. Let her seek to do no harm to any being. Let her love extend even to those who do her hurt. For perfect love is perfect knowledge and perfect knowledge is perfect love. I also found interesting the Vow that Cure Ace taught Cure Diamond, “A Precure must trust herself and never regret her actions.” This is the English translation. As I am not one of the girls here who speaks Japanese, I do not know the actual Japanese. 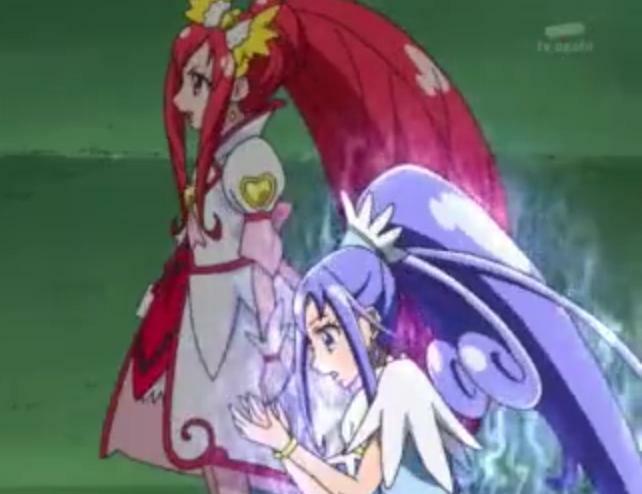 Why does Cure Ace say that a Precure must always trust herself and never regret her actions? It is a curious vow. 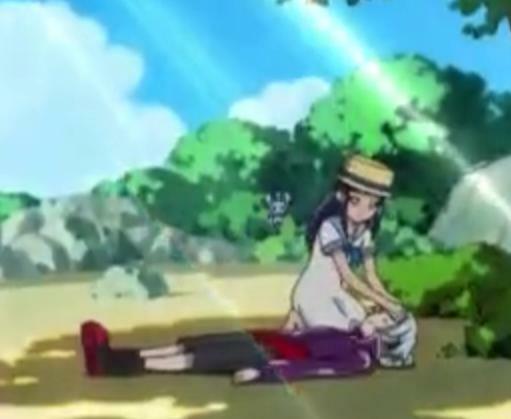 I think that the key for us to understand this is that when Cure Diamond protected Ira-san, she said that if she did not protect Ira-san while he was wounded, she would regret it later. I do not think that Cure Ace was saying that Precures trust themselves as individuals, but that they trust the instincts of their Function as Precures. In this case, Rikka-san was also trusting in her healer’s Heart. She knew, deep in her Heart, that it was wrong to allow harm to a patient under her care, while he was under her care. Once he recovered his memories, Ira-san did return the favor and surreptitiously helped the girls in the next battle. Still, Ira-san is still a part of the Selfish Kingdom, and Cure Ace wisely cautioned Cure Diamond to be careful of him in the future. At the end, though, there was a hint in Ira-san’s eyes that Rikka-san’s act of mercy touched him in some way. I wonder what is going to happen next?